Penn Medicine, in January 2000 (accession number: 2000:04). The Hospital of the University of Pennsylvania Public Relations Records are organized into two series: Subject Files and Photograph Files. Each series is arranged alphabetically. The Hospital of the University of Pennsylvania opened in 1874 to provide a clinical environment for the University’s School of Medicine at its new West Philadelphia Campus. In the ensuing decades, the Hospital has grown to be major health care center for the city and region. The Hospital’s Public Relations Department was responsible for providing media with information and images related to Hospital events. 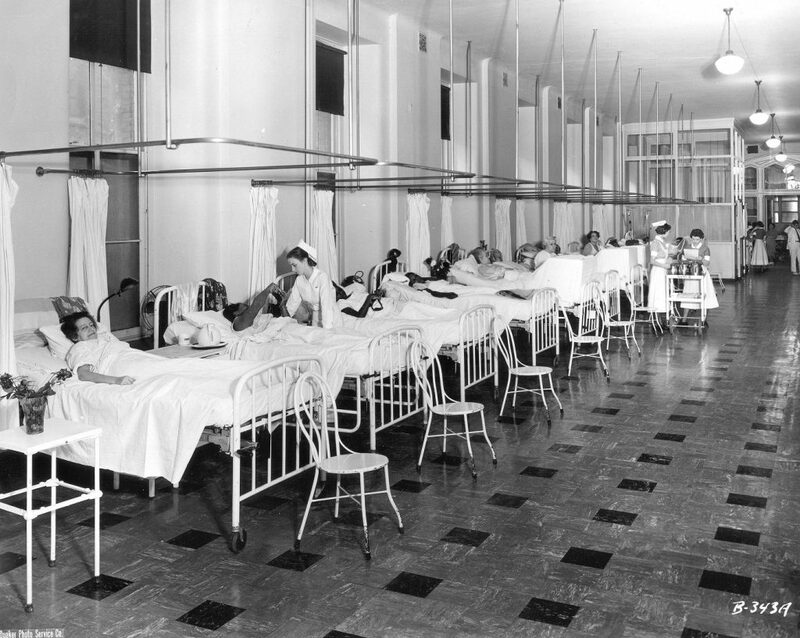 The Hospital of the University of Pennsylvania Public Relations Records contains information files and photographs related to the expansion and operations of the Hospital. Most of the photographs from the 1980s were used to illustrated Hospital publications. Of particular note are files and images related to the Henry Phipps Institute, I.S. Ravdin, and the construction of the Gates Pavilion. Accepted Plan for Gates Memorial Pavilion n.d.
Kelly, Mark contact sheet n.d.